Are you a new HEC-RAS user? Or maybe you've used HEC-RAS before, but it's been a while. Maybe you have no idea where to start. Steady or Unsteady? 1D or 2D? Subcritical or Supercritical? OK, for all you Newbies out there, I'm going to walk you through some steps to take to get you up and running with your first HEC-RAS model. 1. Take a HEC-RAS Training Course. 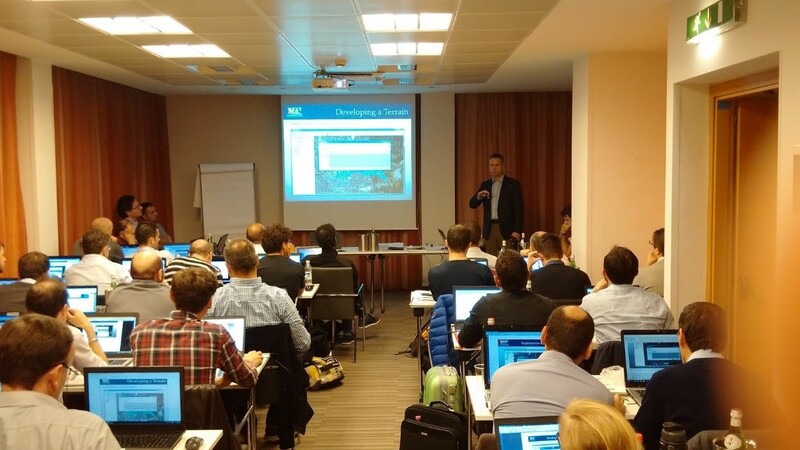 There is no better and faster way to get the knowledge you need to start right in on a HEC-RAS model than to attend an in-person HEC-RAS training course. · ASCE Continuing Education. Typically only available in the US, and expensive. But the quality is top notch. Click the link to see where classes are currently scheduled. · Hydrologic Engineering Center. Expensive and priority given to U.S. Government Employees. Non-government employees can sign up, but only if space is available. Also, courses are held in Davis, California. But hey, these are the folks that develop the software, so if you can get in, take it! You may also hear from time to time about a HEC-RAS course hosted by a local professional organization or government agency. Keep your eyes and ears open for these. One option near me is River Restoration Northwest, which hosts HEC-RAS classes in the Northwest USA every couple of years. Aside from pre-scheduled courses, you can always bring an instructor to you. This only pencils out if you have multiple folks that you need to train. 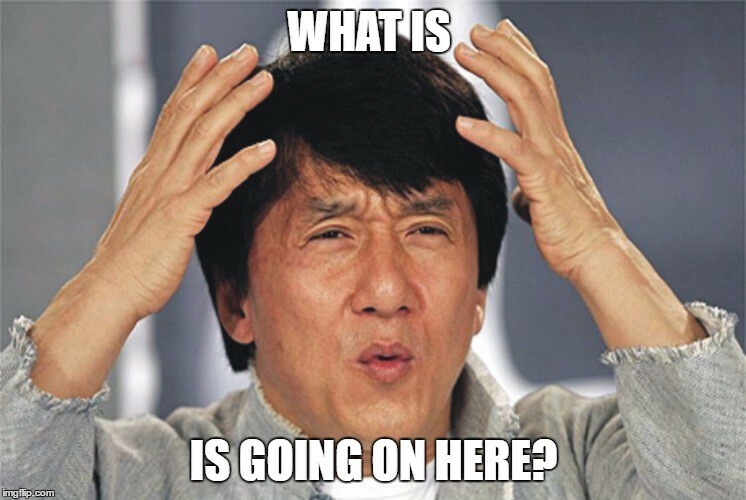 Usually 6 to 10 and the price per student drops below the pre-scheduled courses. I am able to provide this training as can my friend and colleague Krey Price, who is located in Western Australia. WEST Consultants is also able to provide custom course training. 2. 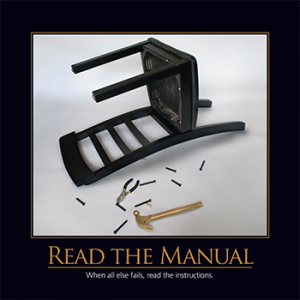 Read the HEC-RAS Manuals. Please please please read through the HEC-RAS manuals before you try to do any HEC-RAS modeling. Don’t take my polite use of the word “please” three times as a suggestion. Think of it as the First Commandment of HEC-RAS Modeling. I guarantee that if you adopt the strategy of “When all else fails, read the manual”, you will end up wasting a lot of your time. · User’s Manual. Start here. At the very least, read through this manual before any HEC-RAS modeling. · Hydraulic Reference Manual. As the name implies, a good reference resource. This is where I go to learn about the “guts” of HEC-RAS…the theory behind it. And to see what’s happening under the hood. 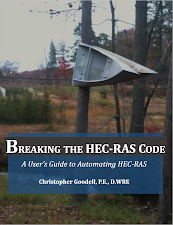 You do not need to read this cover to cover to get a HEC-RAS model running, but it’s good to check in for certain features in HEC-RAS that you’d like to know more about-specifically the theory and computational schemes behind the feature. · Applications Guide. A fantastic collection of example data sets with instructions on how to set them up. · Two-Dimensional Modeling User’s Manual. Definitely read this if you plan on doing any 2D modeling. · 5.0 Supplemental User’s Manual. Good to read if you want to learn about the new features in Version 5.0. Especially give this a read if you wish to take advantage of the new RAS Mapper preprocessing editing tools. · BSTEM Technical Reference & User’s Manual. If you don’t know what BSTEM is, there is no need for you to read this manual. 3. Example Projects and Applications Guide. When you download HEC-RAS, you not only get the software, but you get all of the manuals listed above, plus some other useful documentation. You also have the option to download a larger install package that contains the Example Data Sets. DO THIS!!! These example data sets are invaluable. As you can see in the figure below, the example projects are organized into 5 folders after you download them and unzip them to your computer. Notice the fourth folder called “Applications Guide”. 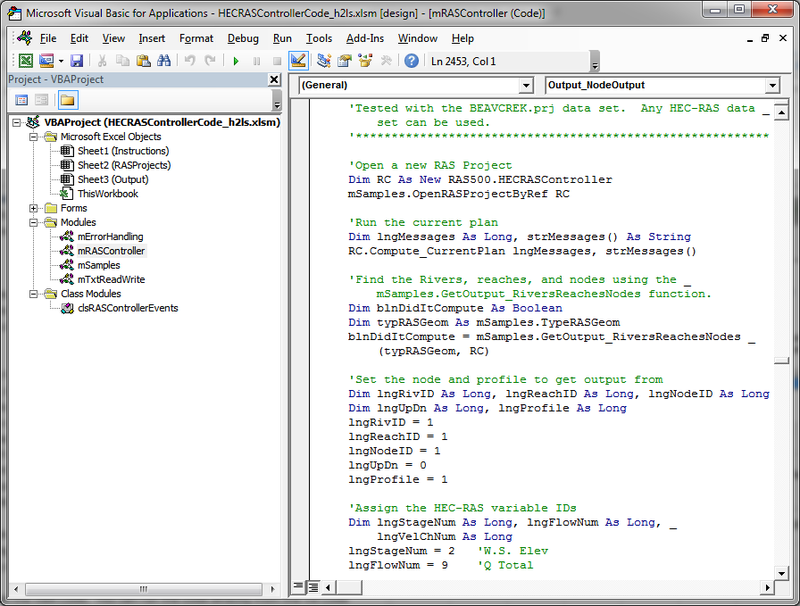 These are all of the HEC-RAS projects documented in the Applications Guide manual. If you want to do some self-training, there is no better way than to go through each of these Application Guide Examples one by one. In fact, I highly recommend going through at least a handful of them before taking a training course. The Applications Guide is designed to provide example projects for you to work through alongside instructions for a wide variety of HEC-RAS applications. In fact, the manual has examples that cover just about every kind of geometric element you may want to use, including bridges, culverts, dams, lateral structures, storage areas, junctions, etc. Unfortunately, the current Applications Guide does not have any 2D examples, but there are 2D examples in the HEC-RAS Example Data Sets. 4. Online Resources. Since you’re reading this, you’ve already found The RAS Solution, the best online resource for all things HEC-RAS. With over 200 posts about HEC-RAS, you are bound to find the information you are looking for (for example…this post 😊). There is a search bar near the top of The RAS Solution, where you can enter in some key words to help you find articles on topics you are interested in. The RAS Solution also has a very widely used forum, where you can ask questions, but also give back to the HEC-RAS community by posting answers. There are a number of social media sites out there dedicated to HEC-RAS. These are great ways to not only get the latest information about HEC-RAS (e.g. upcoming courses, new version releases), but also to post questions about HEC-RAS. https://www.facebook.com/TheRASSolution. This is the Facebook site for The RAS Solution. When a new post goes up on The RAS Solution, a link to it goes on this site. https://www.facebook.com/groups/90473474105/. This is an all-purpose HEC-RAS User’s site on Facebook. With nearly 2000 members, there is a lot of interaction on this site. Great place to pose questions and get answers. https://www.facebook.com/groups/571614272961250/. For my HEC-RAS friends from Italy, this is an Italian language HEC-RAS help site run by my friend and colleague Antonio Cotroneo. https://www.facebook.com/groups/906806026048714/. This is a Brazilian HEC-RAS site that generally caters to our Portuguese-speaking friends. This site is administered by my friend and colleague Pedro Sydorak. https://www.linkedin.com/groups/7065494. This is the LinkedIn site for The RAS Solution. When a new post goes up on The RAS Solution, a link to it goes on this site. https://www.linkedin.com/groups/1908568. This LinkedIn site has over 5000 members. A lot of great RAS modelers participate on this site. Unfortunately the administrator of this site doesn’t participate and so it tends to get a lot of spam and advertisements, and the “About” section is about 10 years out of date. Still, there are some pretty good discussions on here with lots of participation. https://twitter.com/RASModel. This is my twitter feed. I post links to all of The RAS Solution posts up here as well as other useful HEC-RAS information. I also occasionally post about some of my favorite sports teams. Chris. I like the post. JBA Consulting has been running HEC-RAS courses since 1995 in the UK and Ireland. We have courses covering both introduction and advanced and the sediment transport model. More information at www.jbaconsulting.com. Thank you. This is great info, all at one place.